In endodontic literature, significant attention has been devoted to and much has been written about the cyclic fatigue of nickel titanium (NiTi) instruments, undoubtedly because cyclic fatigue has been reported to be the leading cause of file separation and was once a common occurrence in endodontic practices.1 The sheer volume of rhetoric from file manufacturers seems to single out fatigue resistance as the strongest marker of a file’s performance. 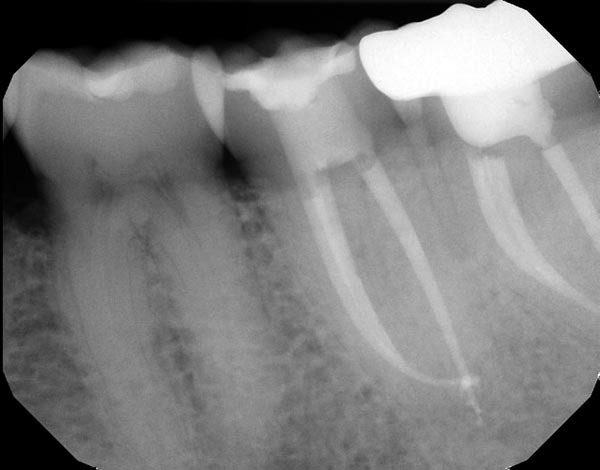 But is there more to the story of endodontic file functionality? From my perspective—influenced by saving thousands of teeth over 19 years as a clinical endodontist—it’s imperative that we look beyond the halo effect created by claims about cyclic fatigue. To date, no standard model exists for measuring cyclic fatigue resistance in a clinically relevant setting. A typical cyclic fatigue test measures the amount of time a file can spin inside a metal tube with a 90-degree curve and a radius of 5 millimeters. Unfortunately, these numbers likely have no correlation to how the file works in the highly variable anatomies encountered in the root canal system. Clinically, I would never allow a file to continually rotate at the root apex for more than a few seconds, especially in a canal with significant curvature. Even when a progressively tapered single file system is used to complete the entire shaping component of a four-canal molar, the file is not likely to be engaging dentin for any time near the industry reported fatigue numbers. Because there is no testing standard for cyclic fatigue, different testing modalities created to quantify cyclic fatigue resistance in the laboratory yield varying results. In fact, slightly tweaking the testing parameters with the exact same instrument can drastically change the numbers. As a result, some manufacturers may run multiple samples under different conditions to determine the testing parameters that most favor their files. This results in claims of superiority for multiple files from different file companies and creates confusion in the marketplace about what might be the safest endodontic file. Fig. 1: The ideal endodontic file would exhibit maximum flexibility, cutting efficiency, torque strength and cyclic fatigue resistance. Unfortunately, the perfect file doesn’t exist and it’s incumbent on clinicians to choose the working characteristics of a file that are best suited for a specific clinical application. 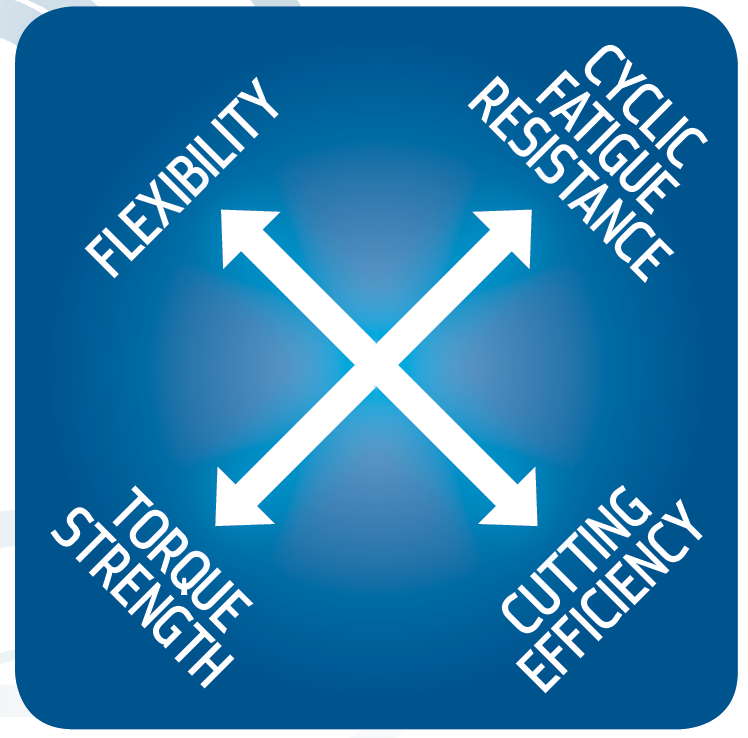 My ideal file would have high cyclic fatigue resistance, but it would also exhibit maximum flexibility, torque strength and cutting efficiency (Fig. 1). 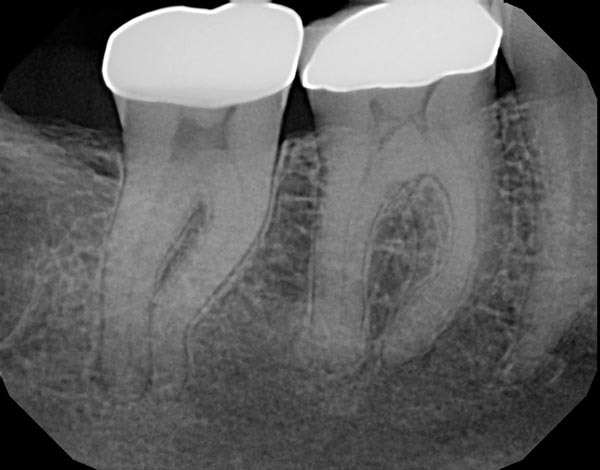 When discussing file design and usage, I commonly am asked questions about the “best” endodontic file for every case; unfortunately, the ideal file to shape all canal anatomies does not exist. 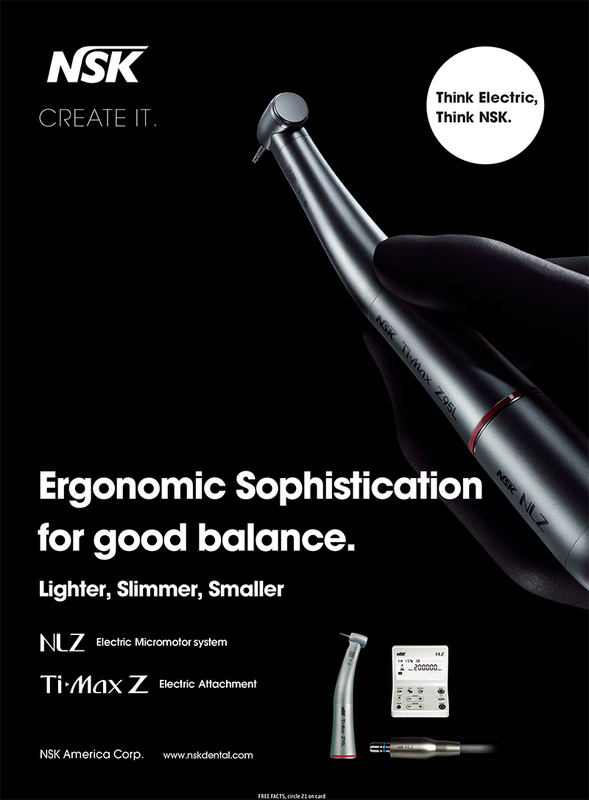 Historically, the engineering of instruments and the physics of NiTi meant that increasing the torque strength of an endodontic file would result in a proportional decrease in fatigue resistance. Likewise, if a file is designed to be extremely flexible it would lose cutting efficiency. However, with the development of new and improved NiTi alloys, these relationships are not as closely linked as they once were. Industry leaders have come closer to hitting all four marks, but several manufacturers would want clinicians to believe that cyclic fatigue resistance is the only measure of significance. Cutting efficiency translates directly into chair time and the patient experience, and the flexibility of a file allows it to follow the natural shape of the canal to enhance biofilm removal to the apex. As a result, both cutting efficiency and flexibility also are of critical importance in file selection. It doesn’t matter what the working characteristics of the file are if the anatomy in the root canal system is not addressed. Fig. 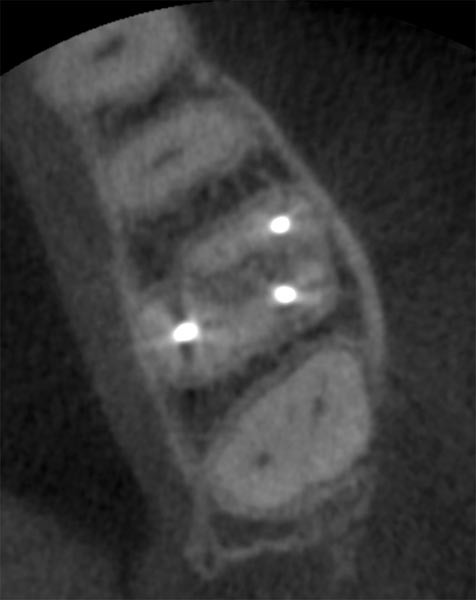 2a: A distal angled preoperative image shows a well-defined radiolucency at the MB root apex and the previous root filling is off center, suggesting an untreated ML canal. Fig. 2b: An axial view of a CBCT clearly demonstrating the missed ML canal. Fig. 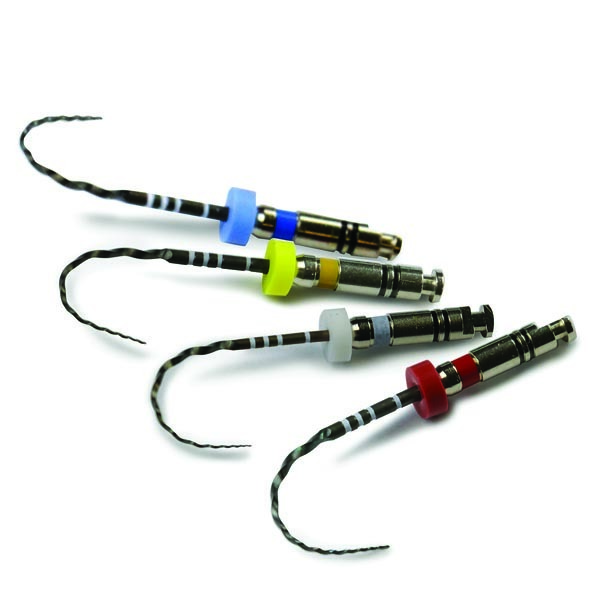 2c: Re-treatment was completed and the final shape of the canals was achieved using WaveOne Gold from Dentsply Sirona, a reciprocating, single file system that has a variable taper. Fig. 2d: At six-month recall, the tooth was asymptomatic and bone healing was complete as the PDL space and trabecular pattern were normal. NiTi files have both superelasticity and shape memory, and these physical properties influence how an endodontic file performs. First-generation rotary NiTi files were manufactured exclusively in the more brittle austenite phase. However, when stressed during the shaping of a canal, there is a nonproportional strain referred to as the martensitic transformation. In the martensitic phase, NiTi files exhibit more flexibility and fatigue resistance. This austenite-to-martensite transformation is referred to as superelasticity. Shape memory is the ability of a NiTi file to be deformed in the martensitic phase, but heating above a transformation temperature will allow the instrument to recover its original shape. This is why temperature has an influence on cyclic fatigue testing. By this engineering definition, this physical property of NiTi files has very little to do with performance. However, a more clinically relevant definition of shape memory relates to the file’s desire to remain in the more stable austenitic form. In essence, a straight file wants to remain straight. The larger and stiffer the file, the more it desires to remain straight and the less likely it will be able to follow the subtleties of a curved root canal system. With the evolution of heat-treated metals, there can be a simultaneous increase in flexibility and fatigue resistance with very little or no loss in torque strength or cutting efficiency.6,7 The engineering and manufacturing process of these files results in stable martensitic nanostructure with little or no shape memory. This allows the newer generation of NiTi files to efficiently shape the root canal system in three dimensions, with very little risk of file separation. Fig. 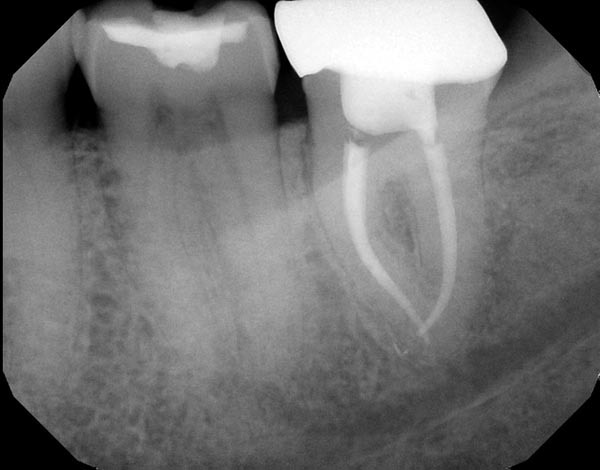 3a: Preoperative image of tooth #3 with a necrotic pulp. The MB root illustrates a significant curvature in the apical half of the root, suggesting a highly flexible file as the best alternative. Fig. 3b: The FlexAccess file from Dentsply Sirona was used because of its ability to shape canals efficiently, but mostly because of its extreme flexibility. Fig. 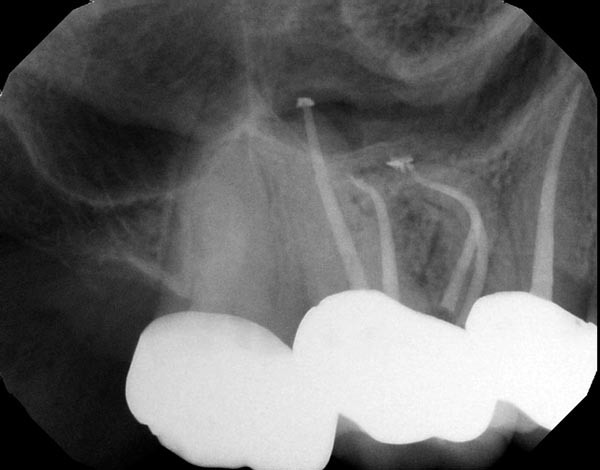 3c: The postoperative image shows the files were able to follow the natural curves of the canal in multiple planes as the MB and ML canals joined in the apical half of the root. 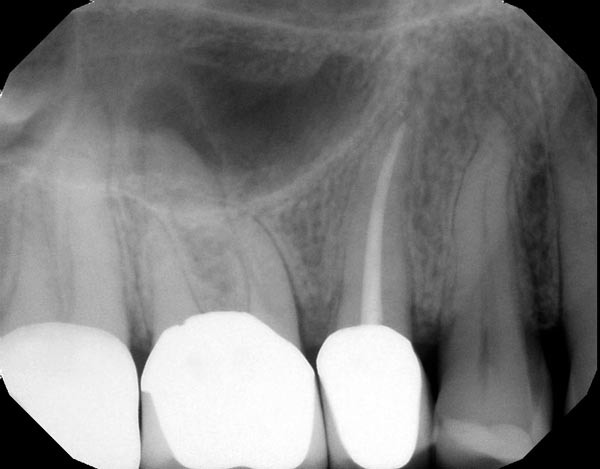 Historically, an “unwind” may be the first step in the failure of an endodontic file. Manufacturers have engineered extremely cyclic fatigue-resistant files that unwind and have very limited cutting efficiency. These files don’t break, but they also don’t have the ability to cut dentin or follow the natural canal anatomy. In this scenario, there is added chair time and additional cost for every deformed file that needs to be switched out for a new one. More recently this historical paradigm is no longer true, with the addition of a new file that will unwind but maintains its cutting efficiency and touts unmatched flexibility. There is no change in the file length as it unwinds and it has an extremely high resistance to cyclic fatigue. As a result, this file hits three of the four corners of the ideal file from Fig. 1. Although it lacks torque strength, the unwinding doesn’t decrease the functionality of the file (Fig. 3b). Fig. 4a: Preoperative image of tooth #31 with an irreversible pulpitis. The mesial roots have a subtle “S”-shaped curve and the preoperative working length was estimated to be 23mm. 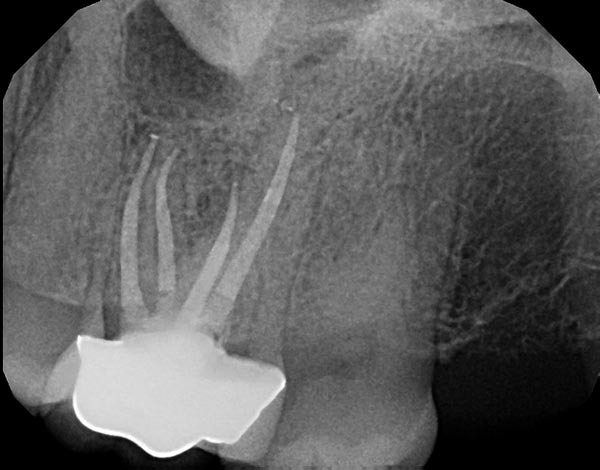 It was also assumed preoperatively that the MB and ML canals would be in close approximation or connected in the apical half of the root. 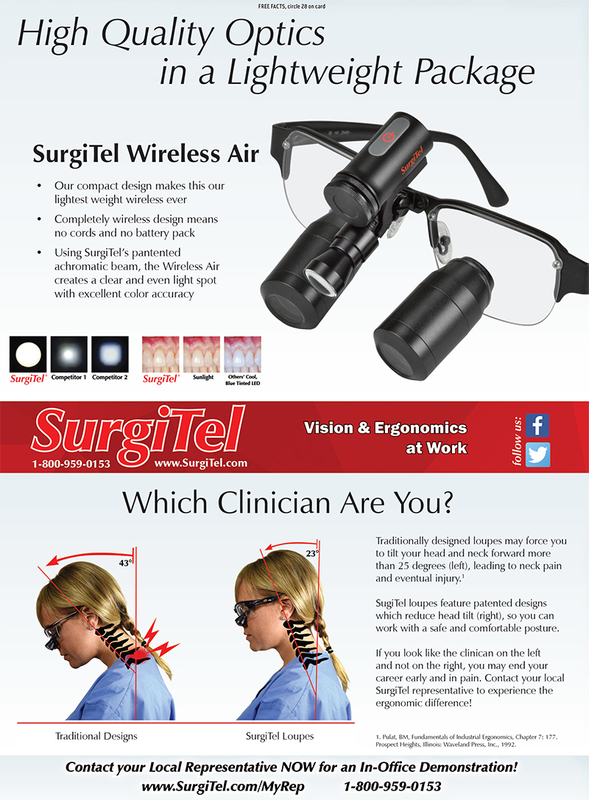 This anatomy requires a flexible and efficient instrument with a good degree of torque strength. Fig 4b: Instrumentation was completed with Vortex Blue from Dentsply Sirona, a 500rpm, constant tapered file with excellent cutting efficiency. 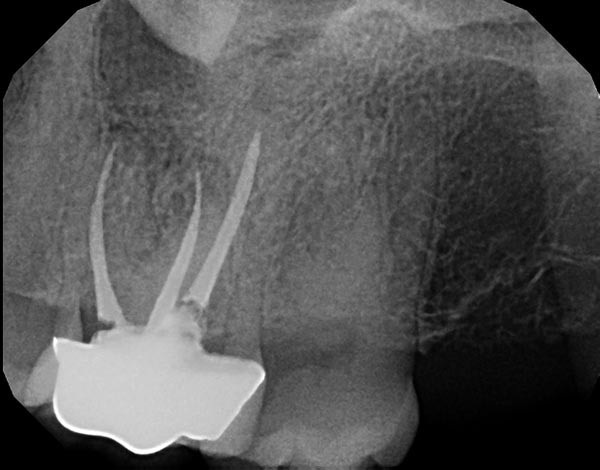 The postoperative image shows the files were able to follow the natural curves of the canal in multiple planes as the MB and ML canals joined in the apical half of the root. The goal in cleaning and shaping the root canal is to contact as much of the canal wall as possible to facilitate the removal of a polymicrobial biofilm while preserving the natural three-dimensional anatomy from orifice to apex. This enables the safe delivery of irrigants deep within the root canal system and ultimately allows a three-dimensional seal. The instrumentation protocol I follow is designed to be simple yet efficient. The number of files and the design used is determined by the anatomical complexity of the roots and the length and shape of the canals to be treated. 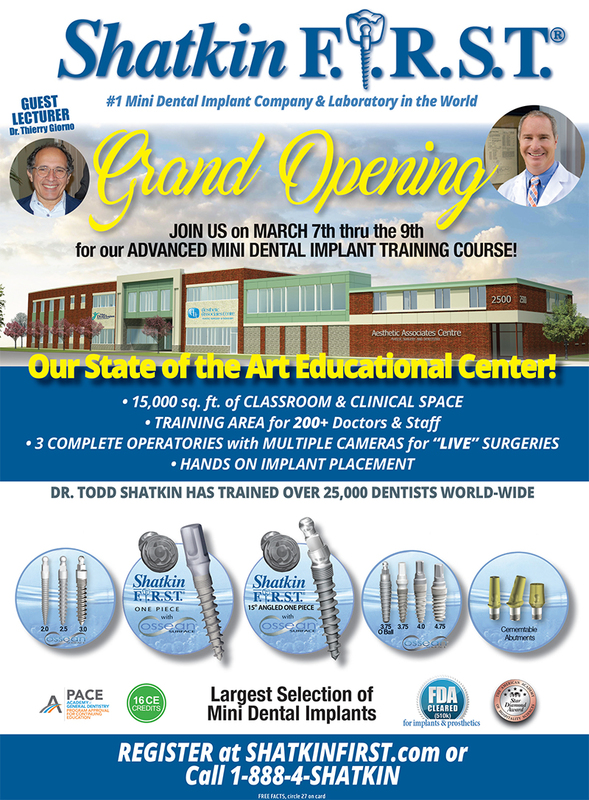 Fortunately, I have multiple file systems to choose from and can match both the movement and the taper of the instrument to the desired shape necessary to clean the root canal system. All of this is designed to avoid the one outcome that is completely unacceptable to me: file separation. I recommend three fundamental usage considerations to eliminate file separations. The power of a great glide path: With the orifice open and a reproducible glide path, final shaping instruments have to do less than they’re designed to do. This enhances clinical efficiency because the files will be in the canals for less time, limiting the likelihood of crack initiation in the instrument. Single-patient use: By using a file one time, the file will cut efficiently and have the same feel each and every time. Single-patient use also limits both the accumulated cyclic fatigue and torque loads placed on the file, and has resulted in the virtual elimination of file separation from my clinical practice. Consistent quality for predictability: I pay close attention to the uniform length and appearance of my files and choose a source whose internal testing data and performance claims are consistently validated by independent, peer-reviewed research. Bottom line: the industry-reported numbers for cyclic fatigue resistance likely have very little correlation with the safety or performance of a file in the root canal system. The good news is that cyclic fatigue resistance has improved industrywide with advancements in metallurgy over the past 25 years. 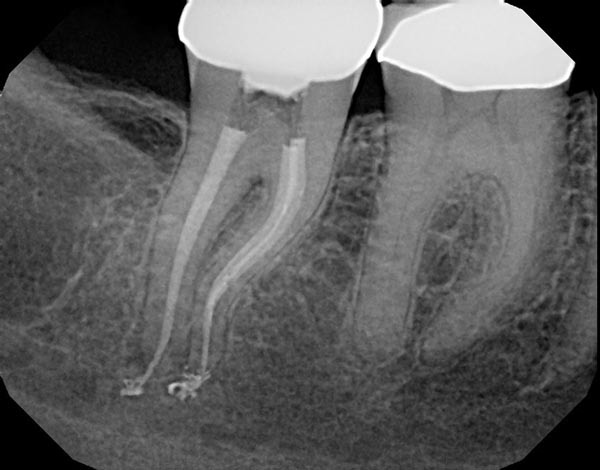 As a result, the key to safely and efficiently instrumenting the root canal system is to get away from looking at one parameter—cyclic fatigue resistance—while viewing file functionality as a whole. Fig. 5a: Preoperative image of tooth #18 with an irreversible pulpitis and a suspected fracture. 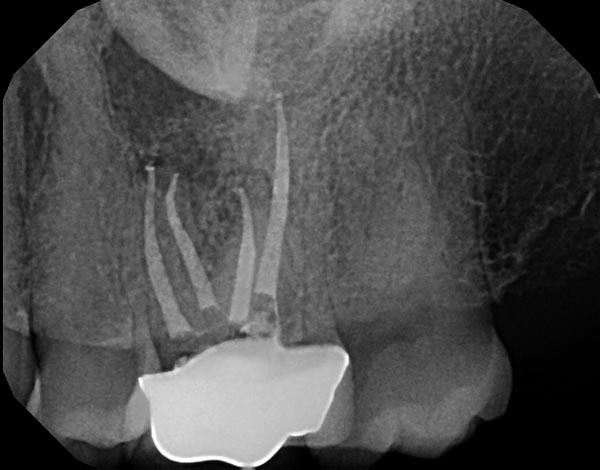 The standard anatomy in this tooth could likely be instrumented with a variety of different file systems. Fig. 5b: I used ProTaper Next from Dentsply Sirona to safely and efficiently manage the subtle curve at the mesial root apex. Because of the variable taper built into the file design, only two files were needed to create the final shapes. Plotino G, Grande NM, Cordaro M, Testarelli L, Gambarini G. A. Review of cyclic fatigue testing of nickel–titanium rotary instruments. J Endod 2009; 35: 1469–76. de Vasconcelos RA, Murphy S, Carvalho CA, Govindjee RG, Govindjee S, Peters OA. Evidence for Reduced Fatigue Resistance of Contemporary Rotary Instruments Exposed to Body Temperature. J Endod 2016; 42(5):782-87. Dosanjh A, Paurazas S, Askar M. The Effect of Temperature on Cyclic Fatigue of Nickel-titanium Rotary Endodontic Instruments. J Endod 2017; 43(5):823-26. Plotino G, Grande NM, Mercadé Bellido M, Testarelli L, Gambarini G. Influence of Temperature on Cyclic Fatigue Resistance of ProTaper Gold and ProTaper Universal Rotary Files. J Endod 2017; 43(2):200-02. Gao Y, Gutmann JL, Wilkinson K, Maxwell R, Ammon D. Evaluation of the Impact of Raw Materials on the Fatigue and Mechanical Properties of ProFile Vortex Rotary Instruments. J Endod 2012; 38: 398-401. Zupanc J, Vahdat-Pajouh N, Schafer E. New thermomechanically treated NiTi alloys – a review. International Endodontic Journal 2018; 51: 1088–1103. Galvão Barbosa FO, Ponciano Gomes JA, Pimenta de Araújo MC. Influence of previous angular deformation on flexural fatigue resistance of K3 nickel–titanium rotary instruments. J Endod 2007; 33: 1477–80. Ullmann CJ, Peters OA. Effect of cyclic fatigue on static fracture loads in ProTaper nickel–titanium rotary instruments. J Endod 2005; 31: 183–86. David Landwehr, DDS, MS, lectures at dozens of events each year for a variety of organizations focusing on endodontics and oral pathology. A Wisconsin native, Landwehr studied as an undergraduate at the University of Wisconsin–Madison and went on to earn his DDS at the University of Minnesota in 1994. 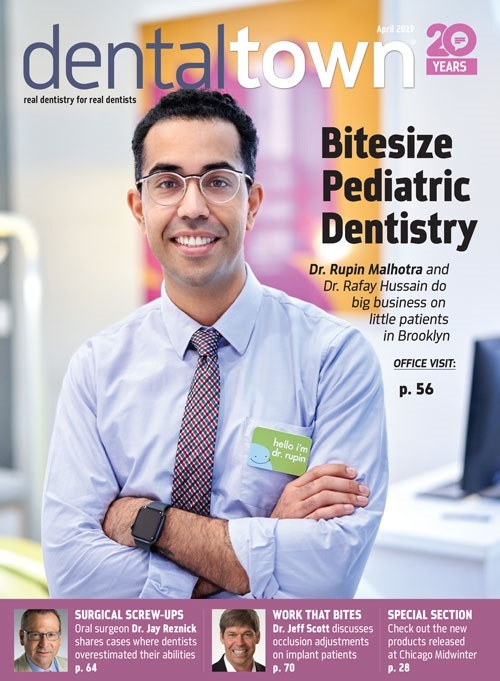 From there, he earned an MS degree and certificate in oral and maxillofacial pathology at The Ohio State University, followed by specialty training in endodontics at the University of Michigan. Since returning to Wisconsin in 1999, Landwehr has maintained a full-time private practice at Capital Endodontics in Madison. 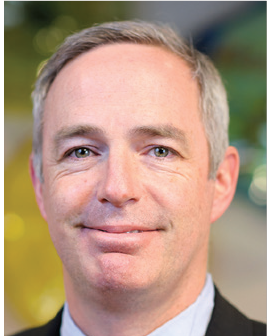 He is a consultant and key opinion leader for Dentsply Sirona (but has no financial interests in any of the products mentioned in this article and received no compensation for the production of this piece).